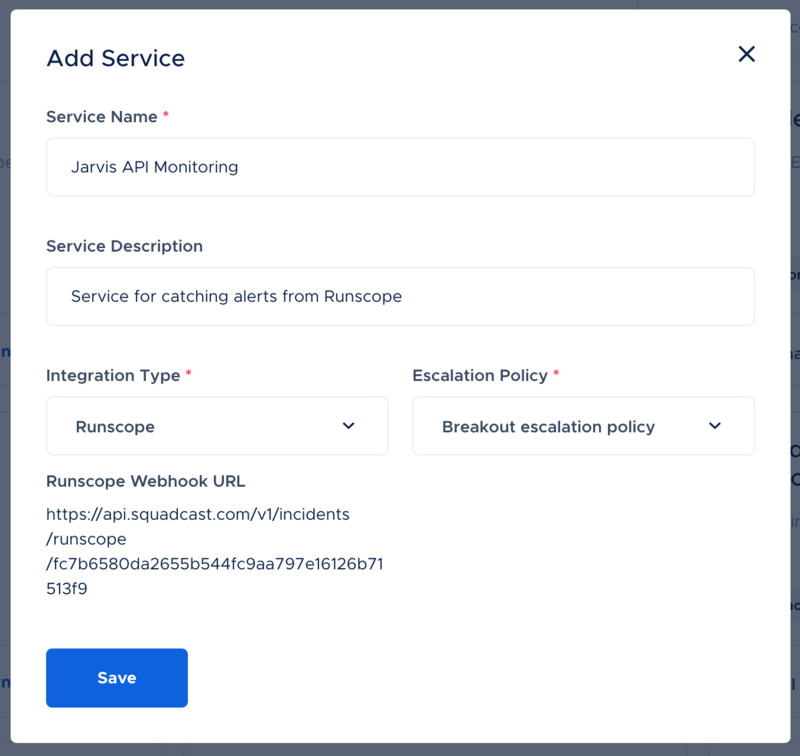 Follow the steps below to configure a service so as to extract its related alert data from Runscope. Squadcast will then process this information to create incidents for this service as per your preferences. From the integration types drop down, select the integration type as Runscope. 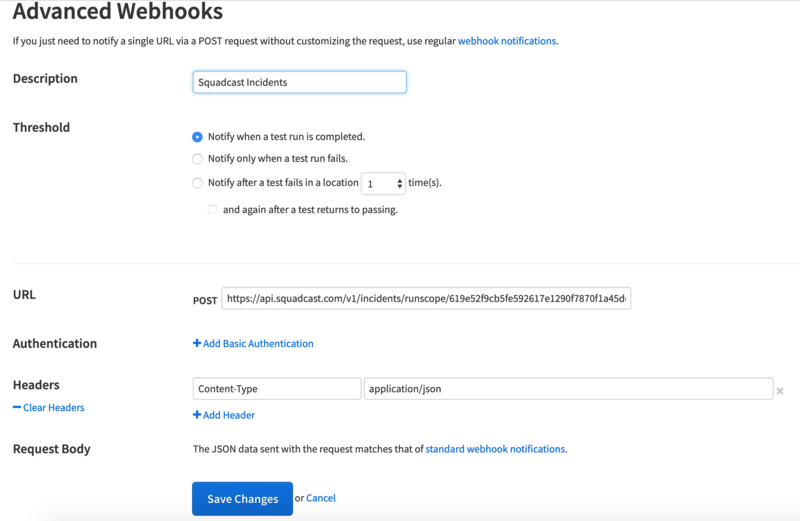 You will be shown your Runscope Integration Webhook URL. 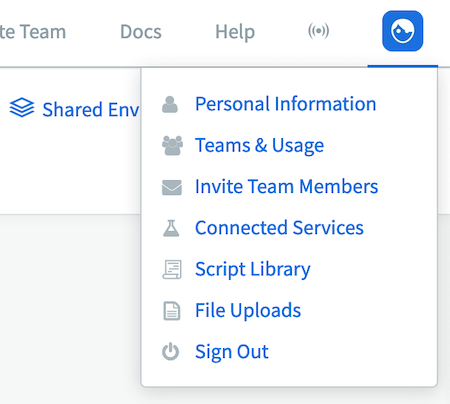 Now login to you Runscope dashboard and click on the Runscope icon at the top right corner and select Connected Services from the resulting options. 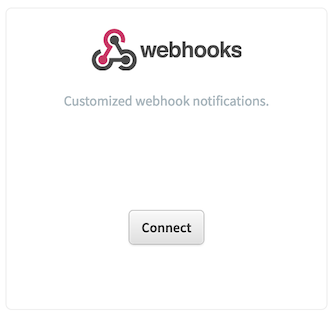 In the list of options available, scroll to Webhooks and click Connect. In the Advanced Webhooks window, Enter a Description such as Squadcast Incidents and select the Threshold as per your requirement. 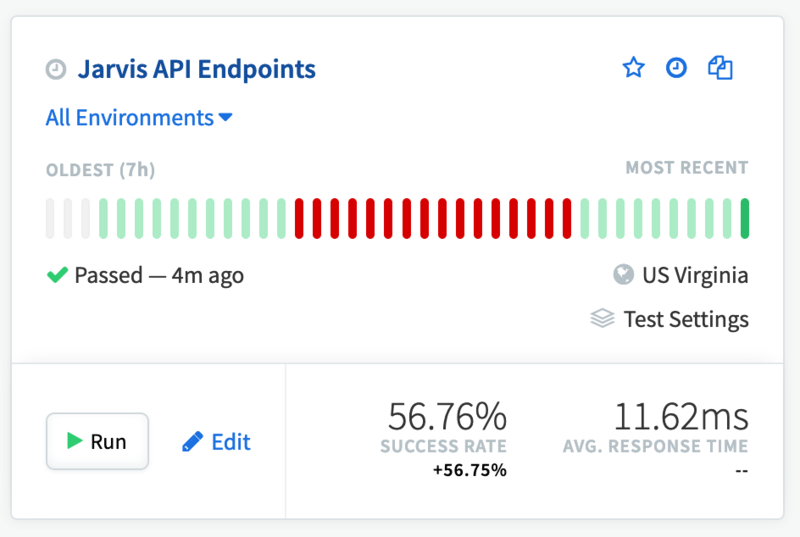 For best results, select Notify after a test fails in location atleast 1 times(s) and enable the checkbox labeled and again after a test returns to passing. This will help Squadcast Auto-Resolve an Incident once the parameters are back to normal. Then paste the webhook url for the Runscope service and click Save Changes. Click Edit on the test needs to be integrated with Squadcast and click on Test Settings. In the Test Settings, go to Integrations and Toggle on the switch near to Squadcast Incidents webhook. The Runscope integration is good to go and if there are any failed tests, it will automatically trigger an incident in Squadcast and if the test passes again, the incident will get Auto-Resolved in Squadcast.